There are many city building types in Illyriad, and 5 resource gathering building types located outside the city wall. You only have 25 building plots per city though, so choose wisely and plan ahead. The Castle is the hub of your city. In the Castle you choose your city's name, see information about the city, set Taxation rates and view your city's Finances. With the right technologies researched, you can also demolish buildings, build settlers and upgrade your city's defenses! Your castle is automatically built every time you settle a city. The library produces research points for your city that you can turn into technology. Research points can be turned into technologies either on the library "Research" page, or via the "Research Summary" at the top of your screen. You can also turn books into research points in your library's reading room. The number of research points generated per hour is dependent on the level of your library and the current lunar phase. The storehouse holds both basic and produced resources inside your city. Please note that the storehouse only stores your resources - it does not protect them from raids, attacks or thieves! For that you will need to build a vault. The capacity of the Storehouse increases with each level of upgrade. The Vault secures a portion of your basic and produced items from prying fingers. The vault protects a fair number of basic resources, but only a limited supply of produced resources - so be careful how much stuff you have laying around in an unprotected city! The capacity of the vault increases with each level of upgrade, up to a maximum of Level 20. The common ground is where your city's citizens raise livestock. Livestock are used for a variety of purposes; most usually for the tanner to produce leather armor and for the saddlemaker to produce saddles, but also for some of the darker spells, as sacrifices. The higher the level of common ground, the faster the production. The paddock is where your city's citizens raise horses. Horses are required for a number of different units that require either speed or heft - ranging from all military cavalry types, most of the advanced diplomatic units, and large-scale wagon trains such as settlers. The higher the level of paddock, the faster the production. The tanner is where you produce leather armor. The tanner takes the hide from Livestock, cures, wrangles and dries it before layering it around mannequins to form a durable protective sheath of leather. Upgrading the tanner increases the speed at which it produces. The saddlemaker is where you produce saddles. The saddlemaker uses the finest quality leather from livestock hides, and expertly crafts it into supple but strong items of cavalry tack such as saddles, reins and blinkers. Upgrading the saddlemaker increases the speed at which it produces. The spearmaker is where you produce spears. Not simply a pointy stick, making a proper spear is an expert job. The spearmaker takes carefully hardened wood and turns it until it is as strong as possible, before binding metal bands and a metal tip to the spear. Upgrading the spearmaker increases the speed at which it produces. The fletcher is where you produce bows , arrows and archery equipment. Master craftsmen of wood gently shape great arcs of yew into perfectly balanced bows, whilst their apprentices practice the art of fletching arrows so they fly as straight and true as humanly possible. Upgrading the fletcher increases the speed at which it produces. The blacksmith is where you produce swords and chainmail armor. Skilled blacksmiths work diligently to produce the best weapons and armour for your troops to use and wear. Upgrading the blacksmith increases the speed at which it produces. The Forge is where you produce plate steel armor. When your blacksmiths are ready, they will be prepared to band together and build a forge. In the hottest fires of the forge, the finest and strongest plate steel is melded to produce incredibly durable suits of armour for your troops. Upgrading the forge increases the speed at which it produces. The Siege Workshop is where you produce siege blocks. Siege blocks are vital for making Illyriad's largest weapons of war - from catapults and ballistas to battering rams and siege towers. Upgrading the siege workshop increases the speed at which it produces. The book binder is where you produce books. Books are incredibly laborious to produce, but critical for almost every spellcasting activity and for any kind of knowledge transfer to another city, where they can be read and transferred into research points. Upgrading the book binder increases the speed at which it produces. The Carpentry increases the city's wood capabilities. The skill displayed as a proper craftsman shapes, moulds and finishes a raw piece of timber is a joy to watch. The carpentry improves your entire wood production by 2% per level. The Kiln increases the city's clay capabilities. The potter takes your raw clay and fires dozens of useful items in the kiln - the foremost of which is bricks. These bricks are then used to make your supplies of clay go further in construction projects. The Kiln improves your entire clay production by 2% per level. The foundry increases the city's iron capabilities. The foundry further refines raw iron into different grades - some suitable for agriculture, others suitable for weaponry. The foundry improves your entire iron production by 2% per level. The stonemason increases the city's stone capabilities. Stonemasons are expert craftsmen with all the various type of stone mined at your quarries. The stonemason carefully shapes each block into the exact requirements for a particular purpose, and thereby reduces wastage. The stonemason improves your entire stone production by 2% per level. The miller increases the city's food capabilities. It is a vital building for the later growth of your city. Constructing a mill to produce flour allows your citizens to make their own bread, and therefore increases the raw amounts of Food your city produces. The flourmill improves your entire food production by 2% per level. The Architects' Office will speed the construction time of all your buildings and their upgrades by 1.5% per level. 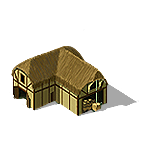 The Warehouse is an upgraded version of the Storehouse, and works in tandem with it to stockpile your city's resources. Warehouses can hold significantly more goods than storehouses can, but equally they do cost a lot more to build. The consulate is where you perform various diplomatic tasks. This building produces all of your diplomatic units, from scouts, spies and saboteurs to thieves, assassins and envoys. You dispatch your diplomatic units on their missions from the "orders" drop down from the diplomatic overview at the top of the screen. In an Alliance context, the level of consulate in the Alliance capital city determines how many members that Alliance can support. Upgrading the consulate gives you access to new technologies. The Foreign Office provides support and infrastructure to enable your city to identify and track foreign diplomats more efficiently. You may build this building multiple times; however, each subsequent building costs the same but performs half as effectively as before (2nd building = half, 3rd building = quarter). It provides 10% per level increase in diplomatic unit visibility from this town. Thieves have to continuously practice their arts, be they breaking and entering, moving quietly, removing items unnoticed or making a swift getaway.This building helps your thieves perfect all these skills, and means they don't have to spend their own time and money on practice. You may build this building multiple times; however, each subsequent building costs the same but performs half as effectively as before (2nd building = half, 3rd building = quarter). It provides 1.5% per level upkeep reduction for Thief units. Undermining foundations, stealing research and burning things down seems like it should be an easy task. Far from it! This building allows your Saboteurs to rest and recuperate their destructive energies. You may build this building multiple times; however, each subsequent building costs the same but performs half as effectively as before (2nd building = half, 3rd building = quarter). It provides 1.5% per level upkeep reduction for Saboteur units. After a hard night of murdering, even assassins need somewhere to kip. The Assassins' Abode provides a safe refuge for your evil-doing well-wishers to recharge and refresh themselves before their next operation. You may build this building multiple times; however, each subsequent building costs the same but performs half as effectively as before (2nd building = half, 3rd building = quarter). It provides 1.5% per level upkeep reduction for Assassin units. Spies need to blend into their surroundings seamlessly. Having a refuge where they can hone the art of disguise and misdirection at the city's expense is a godsend. You may build this building multiple times; however, each subsequent building costs the same but performs half as effectively as before (2nd building = half, 3rd building = quarter). It provides 1.5% per level upkeep reduction for Spy units. Scouts spend an awful lot of time away from home, and not having to maintain their own dwellings, knowing that them and their families are being look after well in your city, means that they're willing to forego some of their pay whilst they're abroad. You may build this building multiple times; however, each subsequent building costs the same but performs half as effectively as before (2nd building = half, 3rd building = quarter). It provides 1.5% per level upkeep reduction for Scout units. The brewery is where you make beer for consumption in your city. Beer is used in the tavern for loosening the tongues of those who might have some tasks (quests) for you. It is also used in the recruitment of some of the thirstier military units. Upgrading the brewery increases the speed at which Beer is produced. The Tavern is where you can pick up quests to perform. For the small price of a few pints, you might overhear a conversation of interest to you, possibly something you can take advantage of. To accept a new quest go to the "quest" drop down menu from the world map. Upgrading the tavern increases the speed at which quests cycle after completion, as well as giving you more time to complete each quest. The mage tower produces mana for your city's mages to use in spells. All spells cost mana to cast, and many of them also cost mana to upkeep. Most spells also cost other resources to cast - especially books. You cast spells - if you have researched them - by choosing "cast spell" on the magic menu at the top of the screen. The amount of mana generated in your town increases with every level of upgrade to the mage tower. The amount generated is also effected by the current lunar phase. Geomancers spend a huge amount of their time communing and becoming at one with nature and the natural spirits that bind the land together. The mental energies consumed by this process are greatly replenished by this purpose-built retreat. The bonus this building provides is applied to the new spell's default. So a spell providing a +8% bonus to your resource production, cast with a single Level 20 Geomancers Retreat (+5% x 20 = +100%) would be cast with a total bonus of +16% bonus to resource production. You may build this building multiple times; however, each subsequent building costs the same but performs half as effectively as before (2nd building = half, 3rd building = quarter). It increases Geomancy spell bonus by 5% per level. This building acts as a research centre and testing ground for your expert Runemasters to perfect their skills in Runeweaving, by providing a safe and comfortable environment for them to tinker with the intricate patterns and materials used in Rune construction. The increase in charges provided by the additional preparation of your Runemasters is only applied to newly cast Runes, not existing Runes. You may build this building multiple times; however, each subsequent building costs the same but performs half as effectively as before (2nd building = half, 3rd building = quarter). It increases number of rune charges by 5% per level. The barracks is where you billet your army when they are at home. In the barracks, you produce troops and commanders and choose the composition of your armies and divisions. You also level up your commanders here, and use the "Move" screen to send those armies out around the map. Spearmen know they're the most expendable part of a fighting force, and they're determined not to be expended. The Spearmens' Billets allows them to practice their deadly craft, as well as allowing your city to take care of some of their day-to-day needs. You may build this building multiple times; however, each subsequent building costs the same but performs half as effectively as before (2nd building = half, 3rd building = quarter). It provides 1.5% per level upkeep reduction for Spear units. Infantry are the backbone of the army. Cameraderie, as well as skills, are honed to a sharp point when they're living and practicing together in the Infantry Quarters building. You may build this building multiple times; however, each subsequent building costs the same but performs half as effectively as before (2nd building = half, 3rd building = quarter). It provides 1.5% per level upkeep reduction for Infantry units. Cavalry see themselves as the elite, the standard-bearers, of the military. The Cavalry Parade Ground provides them with their own place to practice handling and dressage skills, as well as a place - funded by your town - to live, eat and sleep. You may build this building multiple times; however, each subsequent building costs the same but performs half as effectively as before (2nd building = half, 3rd building = quarter). It provides 1.5% per level upkeep reduction for Cavalry units. Archers need to reach a peak of mental and physical perfection where they are 'at one' with the target. This is incredibly hard to achieve when they're quartered with the general melee of the army, and so the Archers' Field provides them a place both to practice and also live without worrying about the world outside. You may build this building multiple times; however, each subsequent building costs the same but performs half as effectively as before (2nd building = half, 3rd building = quarter). It provides 1.5% per level upkeep reduction for Ranged units. The Arctic Warfare College increases both the attack and defense abilities of all military troops produced by this town when fighting in this major biome by 1% per level of the building. You may build this building multiple times; however, each subsequent building costs the same but performs half as effectively as before (2nd building = half, 3rd building = quarter). It provides 1% per level atk and def bonus to troops fighting in Arctic biome. The Desert Warfare College increases both the attack and defense abilities of all military troops produced by this town when fighting in this major biome by 1% per level of the building. You may build this building multiple times; however, each subsequent building costs the same but performs half as effectively as before (2nd building = half, 3rd building = quarter). It provides 1% per level atk and def bonus to troops fighting in Desert biome. The Jungle Warfare College increases both the attack and defense abilities of all military troops produced by this town when fighting in this major biome by 1% per level of the building. You may build this building multiple times; however, each subsequent building costs the same but performs half as effectively as before (2nd building = half, 3rd building = quarter). It provides 1% per level atk and def bonus to troops fighting in Jungle biome. The marketplace is where you build trade caravans and perform your trade functions. Use the drop downs from the trade overview window at the top of the page to offer your resources for sale, view other people's resources for sale, and generally manage the dispatch and receipt of resources to and from other players. Upgrading the marketplace gives you access to more caravans, as well as the ability to carry more advanced types of goods. The Chancery of Estates helps administer your Sovereignty, keeping a registry of low-level claims and streamlining the process for your vassals. Any ruler who wishes to lay claim to a lot of land around their city would be wise to make this building a priority. You may build this building multiple times; however, each subsequent building costs the same but performs half as effectively as before (2nd building = half, 3rd building = quarter). It provides a 2% discount to L1 Sovereignty claim cost only, per building level. Produces wood for your town. At level 0 this building produces 2 wood, just to make sure you always have some income! This produces more wood with every level of upgrade, and can be upgraded to a maximum Level 20. Produces clay for your town. At level 0 this building produces 2 clay, just to make sure you always have some income! This produces more clay with every level of upgrade, and can be upgraded to a maximum Level 20. Produces iron for your town. At level 0 this building produces 2 iron, just to make sure you always have some income! This produces more iron with every level of upgrade, and can be upgraded to a maximum Level 20. Produces stone for your town. At level 0 this building produces 2 stone, just to make sure you always have some income! This produces more stone with every level of upgrade, and can be upgraded to a maximum Level 20. Produces food for your town. At level 0 this building produces 2 food, just to make sure you always have some income! This produces more food with every level of upgrade, and can be upgraded to a maximum Level 20.